Aura Dominguez Canto, a 60-year old retiree from Panama, needed money. Though retired (and tired), she continued to work to help support her children. It’s a situation many people around the world can relate to. No one wants to work forever, but some things are worth the sacrifice. Fortunately for Aura, she found a way that would allow her to have her cake and eat it too. 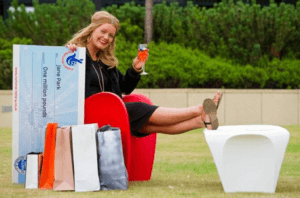 It was June 2017, when Aura chanced upon an online news article about a Scottish woman’s rags to riches story. It was about Jane Park, one of the youngest winners of Euromillions, who at only age 17, won the £1 million jackpot back in 2013. The young millionaire’s story sparked Aura’s interest in the lottery, which lead her to research how she could enter lotteries from overseas. Ultimately, Aura decided she would buy her first ever lottery ticket via theLotter, the leading lottery site that purchases lottery tickets on behalf of players all over the world. Her plan was simple: she would play in every draw of the Florida Lotto for an entire month, using the same set of numbers. Unfortunately, for the first three weeks, luck was simply not on Aura’s side. She stuck to her original game plan though, playing the same set of numbers. And on the last day of her 30-day plan, her numbers 3, 10, 20, 29, 35 and 50 finally landed her a huge jackpot! A few hours after the draw, representatives of theLotter—Adrian and Ignacio—called up Aura to give her the good news. This early morning wake-up call to her in Panama, brought her the extraordinary news that she won. How much? 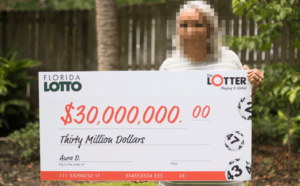 The $30,000,000 Florida Lotto jackpot! Aura claimed her winnings in August in the lottery’s headquarters in Tallahassee and took home a nice retirement package of $20,948,543.98 in one lump sum after taxes. Congratulations to you, Aura! The Panamanian pensioner was not theLotter’s first and only winner. 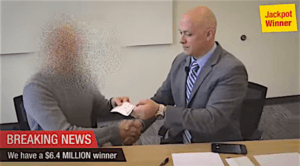 This lottery agent has helped people from around the world play—and win—in lotteries outside of their respective countries before. Since 2002, around $90 million has been won by players around the globe using theLotter. Players from Australia, Canada and even El Salvador using theLotter’s services have won big in Powerball, for instance. There’s even a taxi driver from Moscow who bagged the nearly $1.5 million prize in Austria Lotto. The anonymous Iraqi winner of the Oregon Megabucks jackpot. However, it was in December of 2015 when theLotter truly made waves in the industry when a player from Iraq won the $6.4 million Oregon Megabucks jackpot. It was such a huge boon to the company that it allowed theLotter to successfully lobby for the legalization of online lottery in the state of New Jersey. This just goes to show that theLotter has a proven track record in the industry—so if you want to be the next Aura Canto, check out TheLotter Review to get started with your first steps towards your big win! Hi Carlos, while we can’t speak for the lottery agents themselves, taking a big jackpot — no matter how big — isn’t the best solution if you want a long-running business. In our opinion, sure, there’s the temptation of quick and easy money. But generally, any team wants to be able to keep their company running (and continuously making money, not just cashing in once) for the long haul. In that light, most lottery agents win bigger if they can establish themselves as a reliable operator.